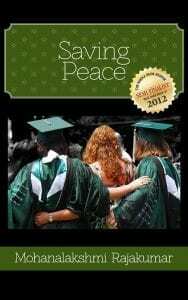 Three friends, two choices, one campus: a novel inspired by the women of Peace College. You go to college to meet your bridesmaids,” or so the saying goes in North Carolina, on the campus of the all female Peace College. But what happens when the friends you thought you were making for life, betray you? The same ones you’d be in the retirement home with aren’t speaking not ten years later? The ups and downs of women’s friendships are tested in SAVING PEACE. Thirty years intervene in the friendships begun at the all female Peace College. What if there’s nothing worth saving?